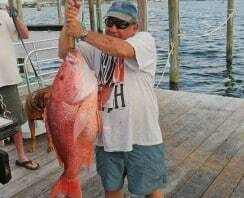 Charter Info | Destin FL Fishing Charters - No Alibi Charter Boat Red Snapper, Shark, Cobia, Grouper & More! GPS devices are not allowed. Captain reserves the right to cancel trip without refund if any tracking device are found on board the boat. Prices are for up to 6 passengers. 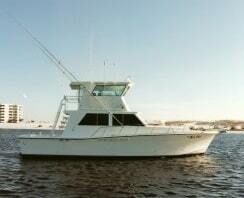 Whether you’re looking for a few hours out on the Gulf or looking for something a bit more… Strenuous. We offer a wide variety of trips. 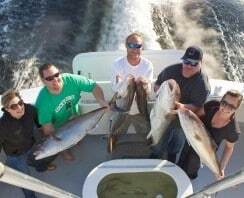 We strive to make your fishing trip as enjoyable and as comfortable as possible. Within the tabs in this section, I have tried to include as much information for you as possible, but it is impossible to cover it all. Please take your time and look around the sight. If nothing else, it should help you get a grasp on what we offer and what is available. Please feel free to contact us with any questions you may have. We will do our best to help you decide what trip is for you. Though I do have and use email, I strongly urge you to call us. If you can’t reach me via phone, I’m most certainly out on the water with low or no reception, so leave a message. I WILL call you back as soon as possible.